American Awnings & Replacement Windows in Shippensburg, Pa., has been offering high-quality, customizable awnings that enhance the look of homes and businesses for 27 years. In all of our awning and replacement window solutions, we offer a variety of colors, styles and customizable options to fit your style and existing décor. 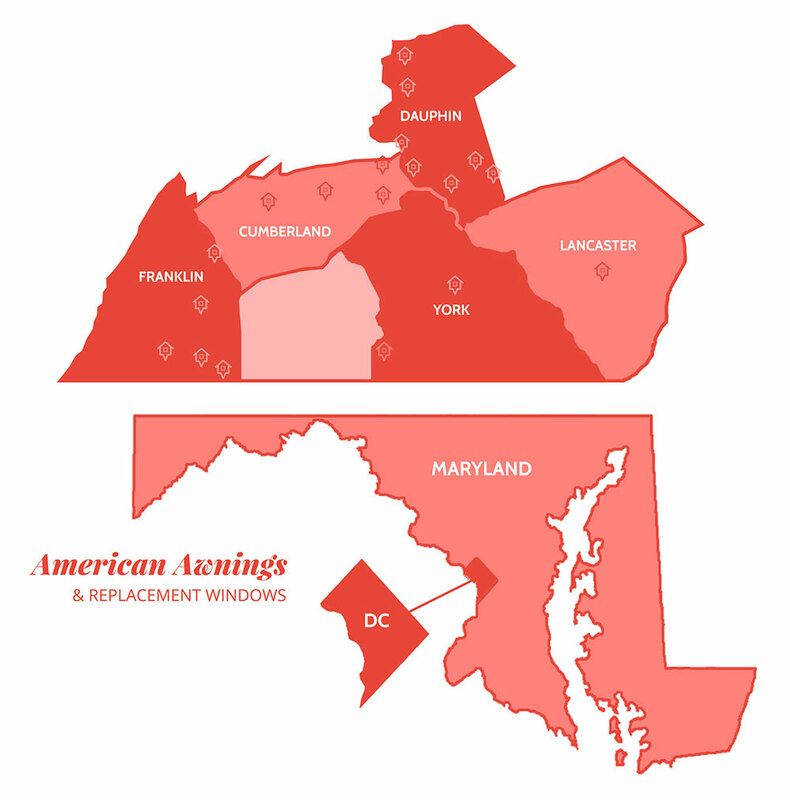 At American Awnings & Replacement Windows, we make customer service and affordability our priority each and every time. Our prices remain competitive because there is no storefront. Instead, we bring the storefront to our clients. Premium quality and unbeatable prices are what our clients can count on. Haven’t budgeted for an outdoor makeover? No problem! We offer our customers special financing options- 0% down and no interest for 18 months, so you can bring your vision for beautiful outdoor living space to reality. Contact us for a free quote or consultation.